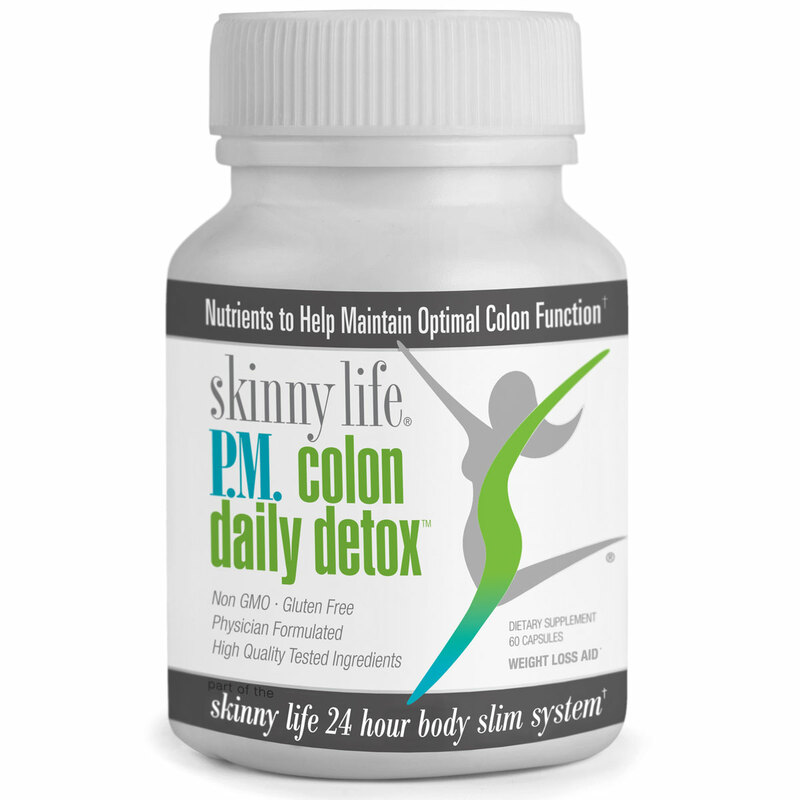 The Skinny Life nutritional supplement system supports your most robust metabolism and fat burning power, around the clock. 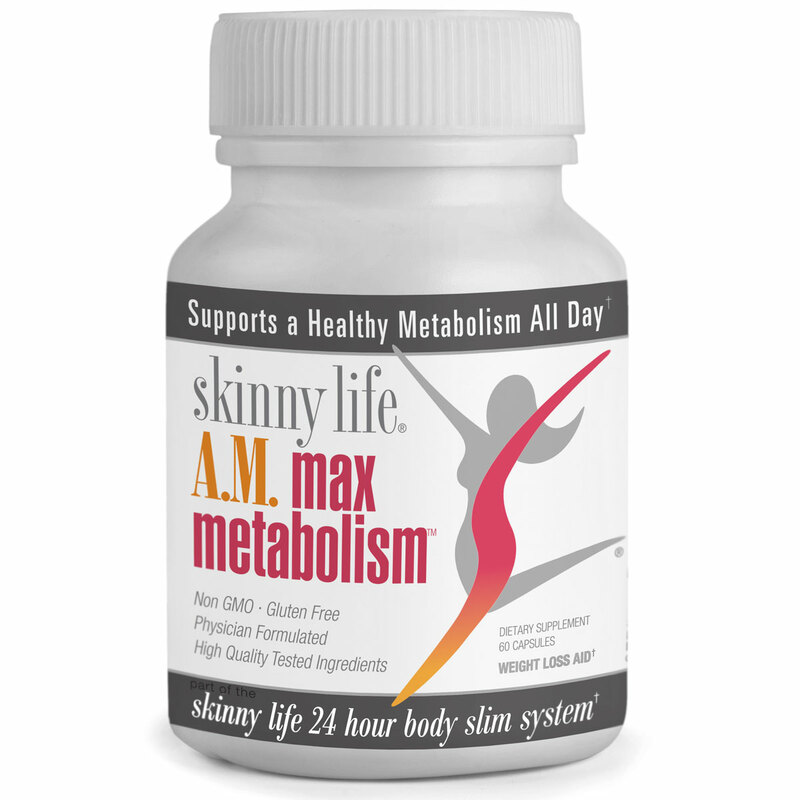 These carefully formulated supplements will become an important part of the Skinny Life 24 Hour Body Slim System. Magnesium Citrate for safe, proven healthy elimination. Formulated around scientific evidence that good sleep is critical to maintaining healthy weight. 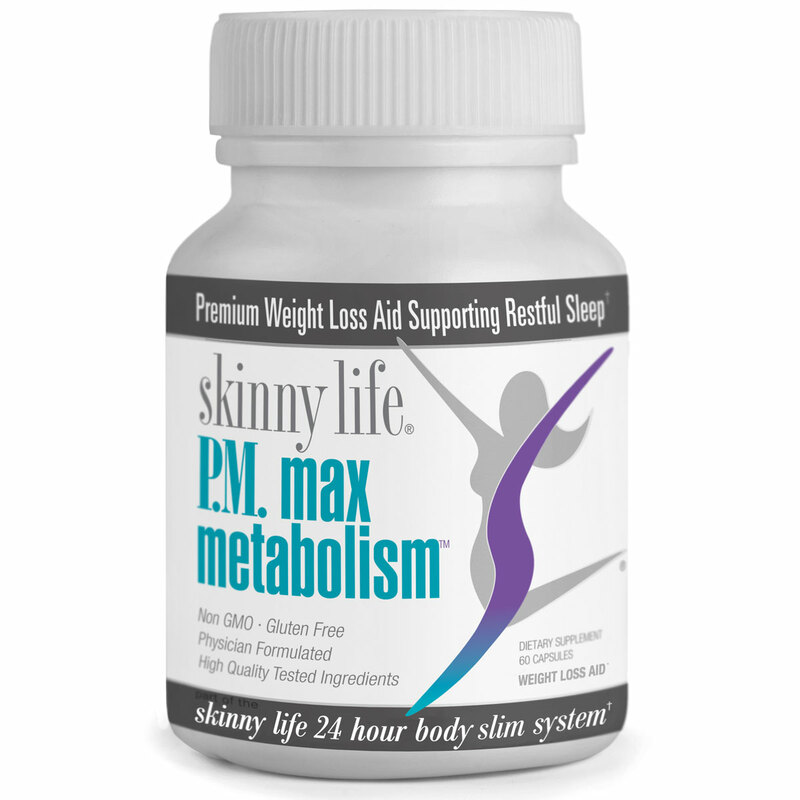 Our specially physician formulated blend of Amino Acids, 5-HTP and L-Theanine, plus Melatonin help promote more restful sleep so that your body’s natural metabolic function is enhanced and can naturally burn fat more easily. Make your weight loss journey easier with a full year of support. Keep your best metabolism in force all day long every day of the year! Select auto-ship to keep your supplements coming and not only will we give you an additional $10.00 monthly discount, we’ll give you the Skinny Life Total Living Coaching Membership at NO COST to you! You save $214.14! 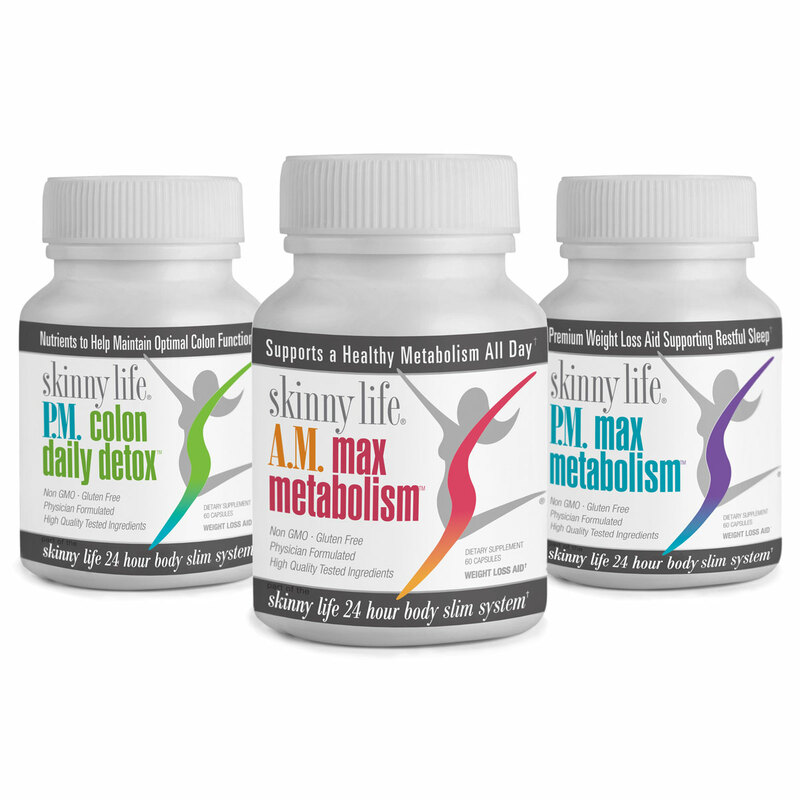 Our Skinny Life supplements are all carefully formulated by nationally renowned Dr. Jeff Hendricks who is the Chief Medical Advisor for USA Labs Direct and serves as the Medical Advisor to Skinny Life Nutrition. Dr. Hendricks has an extensive background in both clinical medicine and academic research. He spent four years at the Howard Hughes Medical Institute Human Genetics lab, graduated from the University of Michigan, and then attended Michigan State University Medical School, after which he was invited to a fellowship at the Laboratory for Gene Transfer and the National Institutes of Health. "My interest in epigenetics (the study of how nutrition can affect gene expression) really took off at the NIH, where I was fascinated to discover how subtle nutritional signals could dramatically affect disease risk, as well as overall health and vitality.” While we all possess genetic tendencies, our environment, diet, and even our lifestyle, affect whether or not we express the healthy versions of our genes or the unhealthy ones." "In the world of nutritional biochemistry, we are discovering safe and effective ways to help us live healthy lives full of vitality and I am excited to be a part of this movement." "As the Medical Director of USA Labs Direct, I am thrilled to have the opportunity to be working with Skinny Life Nutrition to design some of the most cutting edge, effective, and safe nutritional products on the market."